There are lots of “firsts” to come in this report from the beautiful and timeless hideaway that is Hanzell Vineyards. Open by appointment to visitors, the historic winery sits high on the slopes of the Mayacamas Mountain Range, with lofty views over the town of Sonoma. The single track road passes through acres of vineyard and virgin forest, the sunlight dappling the road as squirrels scamper to clear the path in front of you. Hanzell is Sonoma’s most historic property, planted in 1953 by industrialist James David Zellerbach, with two acres of Chardonnay and four of Pinot Noir. This is believed to be the first Pinot planted in North America and the first Chardonnay planted in California. The original vineyard, right in front of the winery buildings, is said to be the oldest continuously producing Chardonnay and Pinot in California and is known as ‘The Ambassador’s Vineyard’, because Zellerbach was to become US Ambassador to Italy having already led the implementation of the Marshall Plan in Europe. Hanzell is pronounced Hann-Zell, with the emphasis on the second syllable. The name comes from Ambassador Zellerbach’s wife, Hana Zellerbach. It was probably Zellerbach’s travels in Europe that developed his taste for wine, and led to the seemingly outrageous decision to establish a European-style estate in California in the early 1950s. I met up with current winemaker Michael McNeill (pictured right and known as ‘McNeill’ to all) who took me on an extensive tour of all six vineyards that spread across the 200 acre estate. The original vineyard was dry-farmed (the red volcanic soils here have plenty of water-retaining clay mixed through them), and though now there is drip irrigation throughout, little else has changed in that vineyard, and nor, says McNeill, has much changed in the Hanzell philosophy: “The Ambassador’s mission was to make wines that can age, and that’s still our mission today.” Hanzell is an atypical Californian estate in many ways. There’s a modesty and an ‘under the radar’ feeling about it, despite its wines having a cult following that has sustained for decades. There’s a sense of timelessness here, a sense that the wines are not ‘wannabe’ anythings, other than a reflection of their vineyards. McNeill confesses that he hopes the son of their current viticulturist, who was born and raised on the estate, will one day take over his job: “Just like generation after generation manage the continuity of a Burgundy domaine.” That idea of preserving with gentle and incremental improvement is made possible by the current owner, English multi-millionaire Alexander de Brye, who inherited his mother’s considerable fortune on her death in 1991, when he was aged just 17. Today, he is said to love this estate which held a special place in his mother’s affections: she bought in 1975 after Zellerbach’s death. And back to those ‘firsts’: the oldest temperature-controlled steel tanks in north America; the first in California to use exclusively French oak for all wines; the first to use inert gas at bottling to preserve the wine against oxidation. But whilst McNeill shows me these winemaking tools with pride, he confesses that these days his heart lies much more in the vineyards than in the winery. He trains most of the vineyards on a system where wires on the top of Y-shaped posts can be pulled apart during the growing season to spread out the canopy over the growing bunches, giving the perfect dappled light sun exposure. The altitude here runs from around 400 – 800 feet, but it is the cooling effect of the Petaluma Gap that is key here: the vineyards sit above the marine layer of fog that cools much of the valley below, so it is a little altitude and the winds that blow through the Gap that mean Pinot and Chardonnay can do so well here. Click photo for bigger version. From the estates younger vines – the that’s in the context that the youngest here were planted in 1999. The wine is fermented in steel and finished in older French oak for six months, with no malolactic. Fresh lemon peel notes, a touch of something herbal and apple skin note too. Deliciously punchy fruit, lovely fresh, ripe apple sweetness on the palate and plenty of ripe, juicy fruit and mid-palate weight. 90/100. Sells for $36 locally. Average age of vineyards here is 36 years. One third goes into new oak with malolactic, 70% into steel with no malolactic. The steel proportion then goes into older barrels whilst the oaked component goes back into steel. Blending is done after 18 months in total. It has a nuttier and creamier element, but still no heavy toast or char here. Real minerality and Burgundian tightness, really juicy and deliciously fresh fruit on the palate, that tight lemon and lime note again, but there are lovely floral aspects to this with that taut, slightly saline touch in the finish. 93/100. $75 locally. Lovely colour, a touch of paleness to the ruby. Beautifully fragrant stuff, the softly leafy and floral nose showing delicate precision, cherry and gentle touches of smokiness, but all about incense and delicacy. The mouth has a dry tannic precision, and although this has good cherry and red fruit, it also has a dryness and a savoury quality, a touch of orange and a touch of liquorice. 91/100. $95 locally. From a tightly spaced vineyard on a steep slope, 99 cases were made of this Pinot, aged 18 months in French oak, 75% of it new. Smoky notes of minerality, and although there is a little more oak apparent, there is just a notch of extra concentration and apparent sweetness. That is proved in the mouth, with a slightly richer mouthfeel and a nicely juicy, clean and clear character with a tang of cherry skins and plum skins giving grip. Delicious richness and sweetness. 92-93/100. $95 locally. to return to California Dreaming. 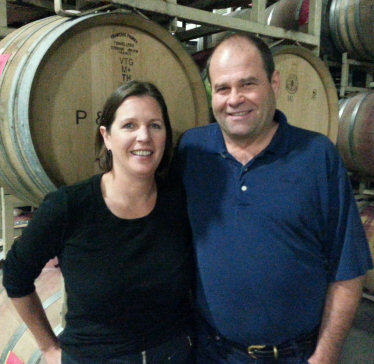 The Patz & Hall story begins in the late 1980s when partners, winemaker James Hall and Anne Moses, teamed up with David and Heather Patz. Anne and the Patz’ look after the business side, and Anne joined us when I met up with James for tasting at their Sonoma facility. James has 30 years of experience at estates including Flora Springs and Honig. Although there is a posh tasting salon in Napa, the Sonoma facility is a fairly unglamorous but totally functional warehouse unit in a large industrial estate. 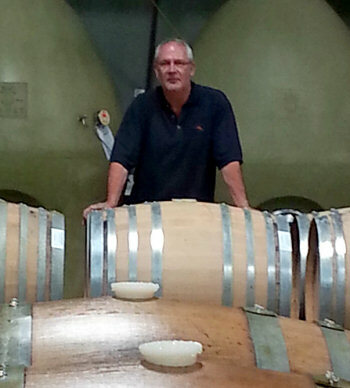 James says 2011 was “a notorious vintage,” cold and wet at harvest with huge rains in October. “There’s no sense of schadenfreude,” he says, “but I have to say we were so happy to be standing in the winery knowing all of our fruit was in as the rain poured down.” Many of the vineyards from which Patz & Hall buy fruit also bottle their own wines. “We’re very happy for our growers to also be bottlers,” says James. “Other people who buy fruit don’t always like that.” Presumably that’s because they fear the growers will siphon off the best fruit for themselves, but James doesn’t see it that way: “It is a sign these people really know and care about what they are doing in their vineyards,” he says. There are notes on a fairly speedy barrel-tasting of wines from the 2012 vintage below, followed by a more considered, sit-down tasting of several bottled wines. I did not taste through enough of the 26 different cuvées from different years to form a strong opinion of whether there are 26 convincing expressions of place and vintage, but this is a determined and focused operation with an obvious attention to detail in what it does. Patz & Hall started working with this ranch in 1997. Nice touch of green bean and Terpene quality, a touch of smokiness, a touch of tropical fruit beneath. On the palate it is on the big side, a touch of Botrytis maybe, but rounded and quite a phenolic feel, quite big and rich, yet still has pedigree. 91/100. The oak seems a little more obvious here, but then the spiciness and nuttiness of the fruit comes through, that touch of something mineral too. Juicy stuff on the palate, the fine acidity plays again, the sweet touch of vanilla just enough to soften this with enough broadening character against that tight and powerful core of acidity and alcohol. 91-92/100. Intention is to take vineyards that are worthy of single vineyard status, but blend them and use economies of scale to make “a great bottle at an affordable price.” Lovely aromatics here, very nice hint of creamy strawberry, gentle briar and earth character, lovely floral elegance to this, the core of intense fruit is superb, with great palate sweetness and intensity. It spends time in 55% new oak. 91/100. $35 locally. From the Sebastopol hills this has fresh, wheaty, raspberry aromatics. Lovely sense of gentle but full ripeness. Very tight and firm palate, but delicious fruit expression and deliciously ripe too. Well balanced, firm tannins, but long and most enjoyable. 92/100. $55 locally. Delicious big wine, confiture, grapey and full, that really big style again, with a bucketload of sweet, ripe fruit and deliciously long and chocolate rich. 92/100. $85 locally. 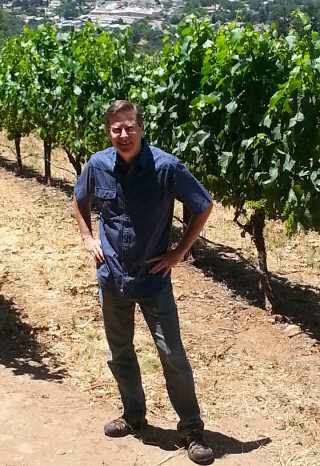 From Carneros in the Napa Valley where James started buying the grapes in 1989. Delicious nutty quality but also that touch of Burgundian cabbage and nice phenolic ‘seriousness’. Natural yeast, full malolactic, no filtering. Big, Burgundian nose, a bit reduced bit Jim says this will clear after two years. Plenty of smoky notes. Lovely juicy stuff made from various carefully selected vineyards. A touch smoky, but fruit-forward and delicious. From three Burgundy clones on sandy loam soils. Jim says this is his favourite soil, with a water-retentive clay layer beneath. Plenty of tannins, but the quality is ripe and deliciously sweet fruit. Single selection of a “Californian heirloom,” clone. “It could it be fro Josh Jensen’s time at Romanée-Conti,” says James. Lots of juicy black cherry, plenty of oaky spice and tannin. Long. Delicious. Briary, reedy, has those lifted aromatics. Jim says it will take bottle age. From Santa Lucia in Monterrey county. Delicious smokiness and lovely red berries, there is an aromatic freshness and lift. Big, but very fruity Pinot. See all stockists on wine-searcher. Paul Hobbs (right) was overseas when I visited his discreet winery, vineyard and very visitor centre behind an unmarked gate off Sonoma’s Gravenstein Highway. So after a few words with Winemaking Director Megan Baccitich, I was left in the capable hands of Marketing Manager Tara Sharp for my tour and tasting. 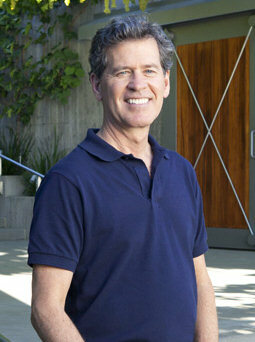 I had interviewed Paul a few yeas ago when I’d learned about his humble origins and much of his winemaking philosophy. Tara told me how Paul had set his wine business up 22 years ago, at first owning no vineyards, but part of the early group of Californian winemakers along with Rochioli, Dehlinger and a few others who wanted to make the single vineyard wines. This label all from bought-in fruit. In screwcap for all wines but the Cabernet in this range. Very bright, fruit forward, lively stuff, with a direct apple and orange juiciness, with direct and fresh flavours, and just a touch of spice and oatmeal creaminess. 90/100. $25 locally. Bright, creamy, cherry and even strawberry/raspberry fruit, a touch of sundae fruitiness, but that creamy and lightly earthy character beneath. The palate is leaner than the Paul Hobbs, a juiciness and firmness, but really nicely made and finishes with excellent balance. 89/100. $25. Deep, quite solid colour. Beautifully deep cherry and mocha-scented nose, with a delicious berry fruited directness, but also pleasing gravelly and gamey nuances adding complexity. On the palate this has really nice, sweet and focused fruit, with a liquorice intensity to the profile: powerful and taut rather than a softer, more open style, but not without charm. Delicious softening edges of oak and some warm, herbal and vegetal nuances along with plenty of taut acidity. 90-91/100. $45 locally. From Carneros in the Napa Valley. One of the very first vineyards in the Paul Hobbs series. No Pinot fruit available at that time from Sonoma, but Paul did persuade someone to plant in an ex apple orchard the next year. Still quite dark and intense. Meatier, fleshier profile, more earthy than the Russian River for sure, with a meat stock richness. The palate has lots of full, sweet fruit. Bramble and a hint of chocolate and plum, nice grip and firmness, undoubtedly a powerful style, but there is a touch of something floral and that kirsch/cherry freshness to the acidity right in the finish that adds a little light and shade. 92/100. $85 locally. Mainly from the Beckstoffer Dr Crane vineyards, but Stagecoach and other famous vineyards in the blend (along with 6% Cabernet Franc in this vintage). Beautiful black fruit nose, plenty of depth of creamy cassis and there’s a meatiness here, a touch of game and meat stock, a touch of something a little herbal/vegetal in the background. The palate has lots of flesh, lots of meaty, broad and powerful juiciness, that squirt of plum and damson-skin roughening tannin and acidity just giving grip and keeping the interest up into the finish. 92/100. $90 locally. And a quick tasting of this 100% Malbec from Paul Hobbs’ estate in Mendoza. A touch of floral character, lots of full, ripe black fruit, a touch of game, but the little floral notes are open and inviting. The palate has beautiful fruit sweetness, the silky, violet-infused kirsch and cassis floods the palate, and supple tannins and creaminess and excellent acidity gives this massive crowd-pleasing style, but delicious supple richness. 92/100. $95 locally. Though founder Jess Jackson (pictured right) is no longer with us, reminders of his legacy are everywhere when one visits the extensive Kendall-Jackson wine centre near the town of Fulton in Sonoma. This remains a family-owned company, with Jess’s widow Barbara now sole proprietor, and their children involved in various areas of the business, from Government relations to sustainability. Kendall-Jackson is huge – not only with their own eponymous label, but with the ‘family’ of winery estates they have acquired over the years, which apparently are allowed to run with real independence and autonomy. On this visit I would taste wines from the Matanzas Creek estate label for example, but there are around 30 Jackson Family Wineries in total including Edmeades, Stonestreet and La Crema, plus wineries in Oregon, France, Chile, Italy and Australia. Focusing back on Sonoma, Gillian Handleman, Director of Wine Education for Kendall-Jackson, told me that management of water was one of their biggest challenges currently: “This is the second year of drought, so reservoirs are becoming depleted and we need rain this year – remember, this is California and there is no rain between June and September.” That apart, the company does see Sonoma as its home. 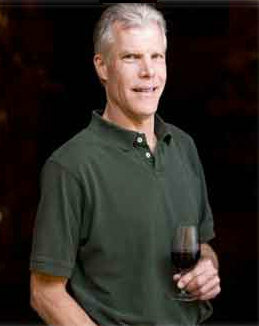 “Kendall-Jackson’s heart lies in Sonoma for Cabernet,” says Gillian, “especially from the Alexander and Knights valleys. But you’d be surprised at how much experimentation there is too. We have Arneis, Tokaji, Gamay, Ribolla Gialla and Albariño all planted.” I asked if they would all make varietal wines eventually? “Well, who knows – but the California consumer is very adventurous,” Gillian replied. See all stockists of Matanzas Creek on wine-searcher. Fairly low key aromatics in this wine, 10% of which was matured in neutral oak, but very nice citrus and apple, and has a nice herbal tang. A touch of more exotic character comes through, a hint of papaya. The palate has nice freshness, the vineyards cooled by the Petaluma gap. Firm, a touch of fruit skin grip. 87/100. Around $20 locally. Fresher aromatics in this 100% Sauvignon from vineyards at 600 feet elevation, 10% of which was fermented in large wooden ‘foudres’. There’s a really nice exotic fruit quality here, with plenty of punchy a blast of orange and grapefruit here, and a real gravel and tang of something saline and mineral elevating this. From hillside vineyards on clay and gravel, this has a firm, grippy finish. 89/100. 14.5% alcohol here, from a warmer location than the 13.1% abv Bennett, on a west facing gravel bench. All stainless steel fermentation. Tight grapefruity nose, with zest and lemon peel, but perhaps not so tropically aromatic as the Bennett. Quite a saline, savoury, full flavour and it is that citrus balance that drives this. Full and savoury. 88-89/100. Mostly Sonoma fruit (around 15% in total coming from Napa and Mendocino), anchored on three sites including in the Alexander Valley at 2,400 feet. Has a little of all five Bordeaux grapes, though it is 88% Cab and it was aged for 13 months in oak, 70% French and 30% American. Deliciously juicy wine, with a slightly dry, ashy character of savoury fruit and just a touch of oak, but has a certain refinement. Elegant and sophisticated style, with very good acidity and a lightness about it: cassis yes, but decent red fruit energy too at a sub-$20 price. 88-89/100. Sonoma County fruit, with 12% made up of Merlot, Petit Verdot and Cabernet Franc. It spends 17 months in oak, 82% French and 36% new barrels. There’s a silkiness and a tight cassis profile here, a barrel selection, with real purity and juiciness, some lovely herb and floral nuances, a touch of bay leaf. Concentrated, dry tannins and fruit extraction – not over extracted, but has concentration and intensity, and a big sour cherry blast of acidity and skinny grip. 90/100. $26 locally. 100% Cabernet, 100% Knights Valley in Sonoma. A bigger style this, aged 20 months in French oak, 37% new. Much more black fruit concentration and a mineral intensity. There is a graphite and tight, blue/black firmness and purity to this, a touch of liquorice. On the palate it has really juicy intensity again, with the oak adding just a touch of espresso and taut, liquoricy and herbal. Long. 91-92/100. “Jess is buried on this mountain,” according to Gillian. “It was close to his heart and he called it ‘my cathedral’.” Aged in 90% French oak, 10% American, only 38% of the wood new. Fabulous fruit purity, real blue/black fruit, those touches of bay and laurel, hints of lifted violet, very pure, very appealing. Fabulous liquorice concentration, with that sense of purity again and such a wonderful ashy dryness, the lovely silkiness and concentration. 93/100. David Ramey rushes in to meet me straight from a meeting with a very well-known winery, to discuss the fruit they buy on contract from a Sonoma vineyard, which David has just purchased. This is the first ever vineyard owned by Ramey Wine Cellars, until now a strictly négociant company set up in 1996 and owned by David and his wife. “Just us, no investors, it’s all down to us,” says David. The bulk of the Ramey winemaking will continue to use contract fruit from both Napa and Sonoma counties, but there are more plans afoot including a new visitor centre due to open soon, on a riverside location across from the cellars of Williams Selyem. For now offices and cellars are based within the town limits of Healdsburg. David tells me that his appellation series of wines (i.e. those that are not vineyard designated) are all made identically, in the belief that it is the sites that will show through in the finished wines. Chardonnays in this series typically see only 25 to 30 percent new oak, and spend less time in barrel with whole cluster pressing, native yeast ferments, ageing on the lees with battonage and full malolactic. “Everything is made the way it used to be 100 years ago,” says David. “It’s neo-Burgundian Chardonnay.” Though he professes a deep and abiding love for Scotland (where he once had a sun-soaked holiday that he enjoyed so much he almost sold up in California to buy a small distillery), it is France that is in his heart. 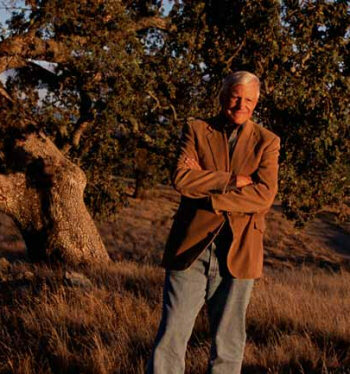 Though having made wine at Matanzas Creek and Chalk Hill, David worked at Pétrus too, making acclaimed vintages including the 1991 and 1994, spent “many winters working in Burgundian cellars,” and was the man that Christian Moueix choose to set up Dominus in the Napa Valley. A ‘village wine’, from the Russian River AVA which has a slightly warmer climate compared to coastal sites. Charming hazelnut nose, with a little orange and crunchy apple fruit. The palate has delicious roundness and full fruit sweetness, a really delightful, shimmering balance and fresh acidity, there is even a little salty mineral tang to this, a pithy clarity. 90-91/100. A little tighter, a little leaner aromatically, with a really fresh grapefruit and orange character in the mouth, lots of tang, lots of energy and vivacious character, ending with a touch of toast and a touch of spiced and tobacco as well as that mineral freshness coming through. 91-92/100. From Sonoma Coast, four miles from the Ocean. First of the vineyard designate Chardonnays, planted in 2003, originally went into Sonoma Coast bottling but has been bottled as a single vineyard. Lots of minty freshness here and a minty oak quality, but also such fruit intensity, with really good acidity, very nice lemon and lime peel tang and grip, the density of the fruit really needs that acid balance and the creaming touch of extra oak to smooth it out. 92-93/100. Russian River Valley, planted in 1972 in the old 8 x 12 system of wide planting. Goldridge loam soils. Less flamboyantly aromatic, the oak seems a little more background, with hazelnut and creaminess and a very ripe apple fruit quality coming through. Juicy and fresh, but a weighty and concentrated wine, with a big stripe of lemon pith and lime acidity running through this, long and powerful stuff this. 92-93/100. Carneros, Napa Valley. 11- to 30-year-old vines. Very clear and clean stuff, lots of freshness here, even a touch of grassiness amongst the aromatics, a blast of grapefruit and lemon zest, this is very dry on the finish, very lean and linear, that pithiness again that great succulent core to this wine, mouth-watering and has massive acid presence. 91-92/100. Sonoma Coast. From vineyards at 800 metres on mount Sonoma. Poor volcanic soils, 20-25% whole bunch, 27 months in 100% new French oak. Very highly aromatic, loads of apricot and floral aromatics, the 7% Viognier really marking the nose, lovely lift to the black fruit too making this a very aromatic style. The palate is delicious, with a lovely streak of red and black berry fruit wrapped in chocolate, the tannins supple and firm, the cocoa and toast of the barrel just adding a charry but not overdone oak note, spice, a touch of meat stock and lots of decisive character here, delicious, pure stuff with bags of character. A big wine, but a hugely successful one. Interesting this is aged on its lees. 93/100. Aged on the lees, two years in oak, half of it new and a mix of French and American. 88% Cabernet with Malbec, Merlot, Petit Verdot and Cabernet Franc, there’s a touch of something herbal here – a pleasing green edge that is very CS, with cedar, meat stock and loads of deep bramble and blackcurrant. In the mouth a delicious edge to this wine, has the acidity again and has lovely richness and supple texture: fills the mouth, stopping short of ‘hedonistic’, yet with loads of flavour and of rich, chunky fruit amongst the more refined tannins. 92/100. 96% Cabernet Sauvignon in this vintage, with no Malbec component. Cedary, quite floral, with the oak a little more prominent at this stage, but again that lightly herbal , lightly briary note. There’s a bit of a resinous quality on the palate here that suggest to me that this needs a little bit of time. But then there is such fantastically refines and supple fruit on the mid palate, really suede-like, smooth tannins and lovely juicy acidity, but has the freshness and that chicory and liquorice edge. 93-94/100. Pedragal means stony place in Spanish, this was the 6th vintage form these iron-rich stony soils, converted to organic farming in 2008. 24 months in new French oak, 7% Petit Verdot in the blend. Fabulous, big nose, with a great purity to the fruit, that little wild yeast, slightly sauvage character is delicious, animal notes, very savoury, with fabulous length and concentration, the smoky, tobacco-scent and incense of the oak and fruit quality comes through in a superbly layered and complex wine. 94/100. Though the Seghesios had lined up a series of Zinfandels for me to taste, I couldn’t help but notice as I passed through the tasting room that they bottle a wild and wonderful variety of Italianate things, including Aglianico, Barbera and Sangiovese. I asked for a quick taste of the excellent Aglianico, clearly these varieties being part of the Seghesio Italian family heritage. I do hope those survive under the new ownership too. This usually has 8% – 10% Petit Sirah in the blend. Lovely bright fruited nose, with a nice touch of smokiness, the bright cherry and red fruit clarity is lovely and inviting in a young, fresh, style. The palate has more of that strawberry charm and cherry -ripe fruit. Plenty of Zinfandel spice and touches of tobacco coming through. Very nice freshness on the palate, a juiciness and a brightness here that is easy to drink and relatively light. 14.8% 88-89/100. Around 90,000 cases made. Some old gobolet vines in this wine from Dry Creek Valley. Cortina is the name of a soil type. Fine, peppery, bright fruit here again, a little more black fruited, but still brightly focused, with great focus a crispness and sharpness, the sense of intensity and of blue/black concentration is very good. It has real juiciness, a dry tannin really powerful, a smokiness, and a richness too; just suggestions of dried fruit intensity and almost Amarone quality, but it has freshness. 92/100. Around 25,000 cases made. From the home ranch here in the Alexander Valley, the Seghesios are the only people to have farmed here for five generations, the vineyard planted with Zinfandel, Petit Sirah and Carignan originally on clay and gravel soils that cause the vines to struggle. These are also head-pruned (gobolet, free standing vines). Pleasingly smoky, ashy, touched with minerality even, the cool blue/black fruit is liquoricy and has huge focus on the palate. There is terrific fruit but that ashy dryness to the tannins is lovely, coating the mouth but always with the precise acidity too. 92-93/100. Around 25,000 cases made. A lot of estate fruit, but also from leased vineyards, the benchmark is an average of 50-year-old vines, some from the 1920s, and some of them dry farmed bush vines. Mostly Dry Creek and Alexander Valleys. There’s an extra creaminess on the nose of this wine, with an extra degree of lift too, a floral touch and pepper and spice too, as well as the suave black fruit. The palate has supple textural richness, with plenty of rich fruit intensity and creamy sweetness, the fresh black cherry skin juiciness and tart nip of acidity adding delicious bite, a nice natural energy about this. 93/100. Beautiful bright cherry fruit on the nose, and old polished wood suppleness and has tang and genuine Aglianico freshness and direct, dry grip with a bit of raisin and chocolate-coated cherry. 88/100.